If there was no such thing as a Confederate Battle Flag, the f*ckhead (who does not deserve to be named) who killed people in a church in Charleston, South Carolina, would have still killed those people. That flag did not make him a racist – God only knows what evil lurked in that tiny mind, but the flag did not make him a racist killer. Perhaps you have not noticed, but the people of South Carolina, all colors, have embraced each other. This does not surprise me one bit. I spent many weeks in Columbia, South Carolina over a two year period, and coming from St. Louis and Kansas City, I was frankly surprised that the racism I was always told about by the media was just not in South Carolina. There is much more racism in Kansas City and St. Louis. Both of those cities are donut cities – minorities live in the inner city, and the white people live in the majority of the suburbs. In Columbia and Charleston, people live next to each other. It does not matter what color they are. The hospital I did some installations for had people of all kinds of backgrounds. African American, Indian (Eastern Asia Indian) American, beige people of all backgrounds, and there were people of all persuasions in management positions. And most interestingly, everyone went out to lunch together. This is completely not like Kansas City or St. Louis or Chicago, where different colors stay away from each other. But now, a lot of rather ignorant people, are throwing around all kinds of accusations of racism aimed solely at Southerners. And they are wrong. And they need to do some thinking about their own bigotry against people who live in a different part of the country than they. Look at Baltimore – New York City – Chicago, St. Louis (Ferguson) and Kansas City – these are all cities north of the Mason Dixon line, and there is a ton of racial strife there. So seriously, don’t start calling all the people who live in the South, “Bubbas”. Don’t assume that everyone belongs to the KKK – they don’t. There are probably more white supremacists in Montana than in all of the South. 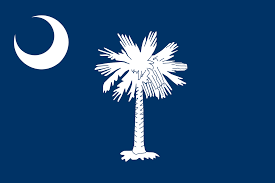 This is the flag flying over the capital building in South Carolina. This entry was posted in Political Rant., Rants and tagged Charleston, Flag, South Carolina. Bookmark the permalink. 3 Responses to Can a flag be evil? I’ve lived in Texas part-time for some years — still have a pied-à-terre in the Metroplex while we basically live in Tel-Aviv full time now. The idea that Southerners TODAY are somehow especially racist is, to use a Sheldon Cooperism, “malarkey with a side of poppycock”.